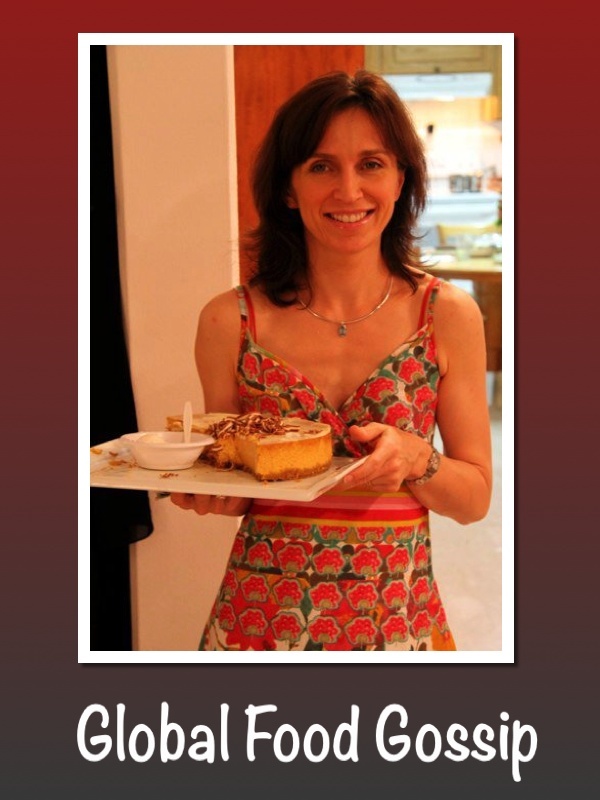 Joanna Masters-Maggs, our resident Food Gossip, is back with her monthly column for like-minded food gossips. Today’s topic for discussion in the kitchen is something very dear to Joanna’s heart: English food. Before I left the shores of England over 16 years ago, I never gave a thought to British recipes and ingredients as long as I had a supply of strong English teabags. And once I left England and adopted a “displaced” lifestyle, not being able to find ingredients for familiar English recipes simply meant an opportunity to try something new and wonderful, because I love cooking. I tasted and cooked my way around the world and lost touch with food from home. Now, some people might be unkind enough to suggest that this was for the best, given England’s reputation for lacklustre food. How unfair! A difficult century of war and rationing, followed by the arrival of new convenience foods had an adverse affect on home cooking and restaurants alike. If I had to collect my rations for weeks in order to make a cake, I would probably lose interest within days. The new packets and tins must have seemed welcome relief from the effort of thinking about how to put a meal together. But that’s another story. For now, take it from me that properly cooked English food made with quality ingredients and which doesn’t substitute homemade for pre-packed, is a wonderful thing. It is a wonderful thing. However. Back to me, living overseas: I felt it was important to learn to cook the local food, and I took this task very seriously. So seriously, in fact, that one day the realization hit me that, in eight years of motherhood, I couldn’t recall having made a single traditional English dish for my kids. Why on earth not? This was the culinary equivalent of refusing to speak to your child in your native tongue, and potentially just as psychologically damaging. We had just arrived in Malaysia. Kuala Lumpur has a large expat population, and a certain supermarket, Hock Choon, caters to it shamelessly. During one expedition there, I picked up a distinctive green and gold tin of Golden Syrup. “What’s that?” asked my kids, crowding around, eager to look at this strange foreign product. Oh dear. What woeful ignorance of an iconic British product. My own children didn’t know that Golden Syrup is to foie gras what corn syrup is to Spam. Clearly there was some cultural awareness to be taught. On the drive home I began to feel a tingle of excitement. A quest had begun. A project is a good thing to have in the difficult first few months in a new country. It keeps you from mourning over your lost life elsewhere. I determined that I would cook English favourites for my kids and I would cook them well. No corner cutting, no packets, and certainly no shop bought pastry—one thing thankfully, that was conspicuous by its absence at Hock Choon. That Sunday I produced my kids’ first-ever Sunday roast. It was simple stuff: just chicken, roast potatoes and green beans, but I just felt such a damn capable mother as I carried it to the dining table. Steamed syrup pudding came next, and custard too — the real deal, made with cream, eggs and a steady nerve. My children stared with fixed intensity as I lifted the dish to reveal the pudding in its full golden glory. Accustomed to tarts and tortes, they were unsure what they were facing. “Umm…what is it called?” asked six-year-old Isabel, as I poured custard on her serving. Seconds later she discovered what everyone does when they try this delight of English baking. The name gives no hint of its tender lightness. It doesn’t swamp the vanilla delicacy of custard. Here was something that looked as though it could break storefronts for ram raiders, but which in reality was a frou-frou pussycat of buttery, light delight. With relief, I surveyed the smiles of my family. There would be no pudding mutiny that night. Over the months that came, aided by the marvelously stocked Hock Choon, I mastered steak and kidney pie with homemade suet pastry, roast racks of lamb, and liver and onions. On the pudding side, Bakewell tart became a firm favourite and more than adequate British competition for a tarte au citron. Bravely, I served English food for my children’s Korean and Japanese friends and found they delighted in the names of some of the dishes. I lost count of the number of children who couldn’t wait to tell their parents they had eaten “toads” and that they were delicious. Toad in the Hole, if the fat and oven are hot enough, is a glorious combination of light and golden batter, meaty sausages and sweet onion gravy. I remember one lovely Chinese mum being genuinely disappointed to learn that it was a pork dish and not a spin on frog legs. Now, my children have favourites recipes from England and are fiercely defensive of their national dishes. Criticism is met with an invitation home for dinner and on those nights I cook with extra care. I am happy to report that we have enjoyed quite a lot of success. No longer are we bashful when our food or produce is knocked—we talk back. That’s important. Food forges a sense of belonging to somewhere. England is rightly famous for its dairy products, king of which is clotted cream. It hails from South West England, particularly Devon, but also Dorset and South Somerset. This is the stuff traditionally served with scones and for which ‘cream tea’ is named. I like to serve it with fruit tarts at dinner and — oh, let’s be frank, this is the cream that goes anywhere. Just don’t waste it in cooking. It’s quite difficult to find outside Britain, but not to worry—you can make your own. You need “raw” cream. It can be called heavy, whipping, double or single cream, just as long as it isn’t UHT (ultra heat treated). UHT won’t separate, and you need to separate the cream from the milk. Now put that cream in an ovenproof dish and cover. Place it in an oven preheated to 180°F or 80°C and leave for 8-12 hours—yes, you read that correctly. 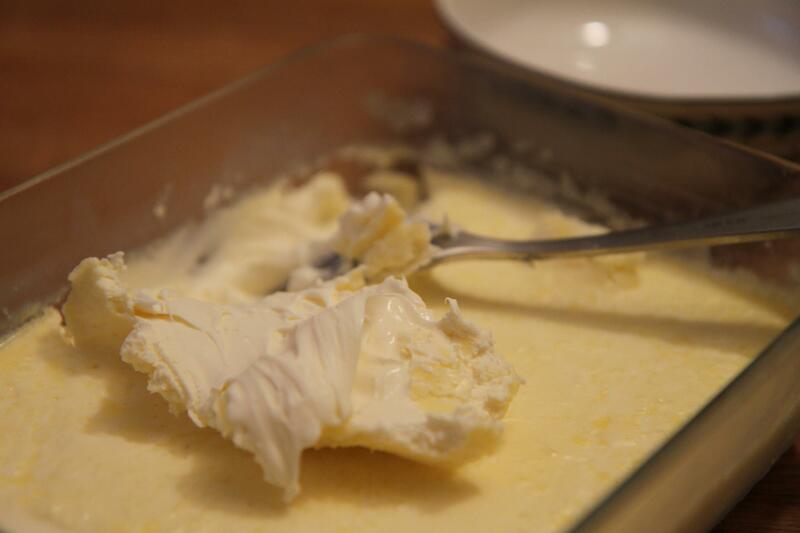 When a thick, yellowish crust of mascarpone-like consistency has been achieved, remove the dish, wait for it to cool, then refrigerate for a minimum of 8 hours. Scoop it in to jars, cover and eat within a few days. That should be the easiest part of all. Fellow Food Gossips, share your own stories with us! STAY TUNED for tomorrow’s post! yum, yum, yum! i love that your kids took to any cuisine like old hands. i think that’s the best part of childhood – that adventure! i know after living in tokyo for a year, i paid $10 for a box of cheerios. i know. sigh. @Joanna – I love it! Making your own clotted cream wheresoe’er you roam! How Brilliant. I love the idea of making your own clotted cream. I’ve returned to the UK temporarily, and have been enjoying afternoon teas in our capital city. Clotted cream is available in the English Shops in LA, but it’s so expensive… so plan on making my own when I get back.